Here I am at 40 weeks and still I have barely gained any new stretch marks. I know I just talked about this and it is my #2 must have item for the third trimester. I have one or 2 new marks but honestly they are only about 1 cm in length and they are being torn from a previous mark. So, I call that a win. I have gained 26 pounds this entire pregnancy at this point. And I am currently at my heaviest I have ever been at 264 pounds. To fight against the stretch marks I assumed I would get, I took action and invested in the HONEST COMPANY ORGANIC BELLY BALM. Using it just twice a day. And that is it. 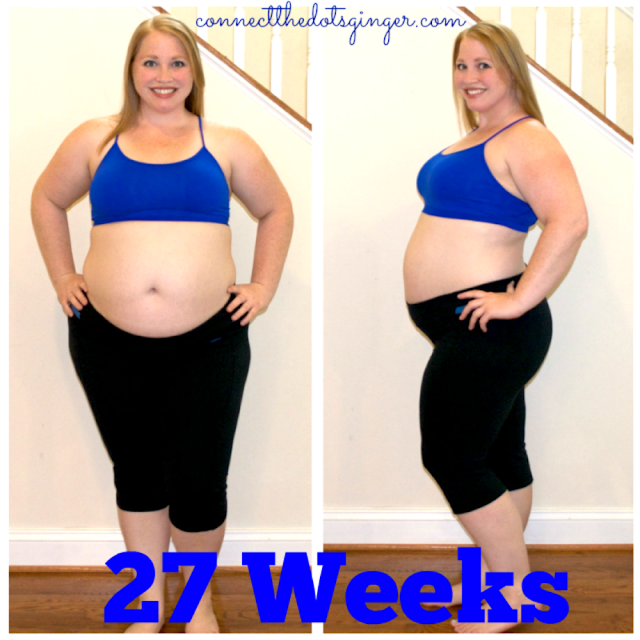 I am going to continue to use it after baby comes to help tighten and tone my belly up. So...We shall see. But check out my pictures and see for yourself. The bottom line. Most women out there have stretch marks. Don't look at them as a flaw but as a way to tell the story to how you are today. 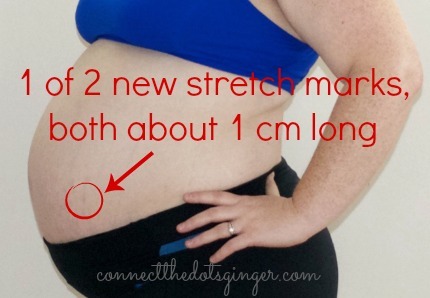 I gained my stretch marks because I gained weight too quickly wanting to get pregnant. I didn't care how much I ate, I just did and assumed that I would lose the weight once I got pregnant. They are a reminder that I have fought for my health for years. That I finally took back what I lost control of. I suffered an addiction to sweets and treats and sugar. And I fought so hard to get control of my life back and change how I see food and my relationship. Because of what I went through I now am the healthiest I have ever been feeling better on the inside and out than I ever have been!